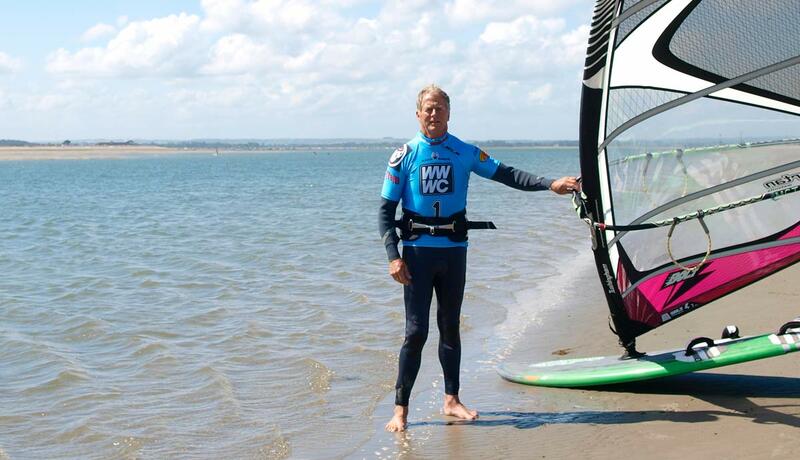 West Wittering is etched in the UK’s windsurfing history. Its white sands, expansive unspoiled waters and stunning rustic backdrop make it the Maui of the south coast! Its changing tides can offer waist deep flat water and waves with a 6 hour period. And thanks to the expertise of 2xs, you have rescue facilities, a pucker clubhouse with showers and kitchen, a heap of demo gear. It is the IDEAL place to stage a clinic. Required standard. Planing in the straps and harness on a sub 130 ltr board. 2 days to works on skills both on the flat and on the open sea. I’ve scheduled the course so that we’ll get full use of the WW’s fabulous low tide lagoon, which with its waist deep water and sandy bottom, truly, honestly is one of the best practice grounds in the world. The course is a perfect chance to work on whatever part of your game is bothering you, whether it be tacks, gybes, tricks, early planing, set-ups, speed or just a general make-over. Given ultimate power I would order a non planing followed by a planing day – so often we can cover more ground during the non planing session. Each day will end with a revealing, inspiring and sometimes comic video playback session. Kit. Bring your own, or rent from 2XS who carry the latest selection of RRD and Ezzy. 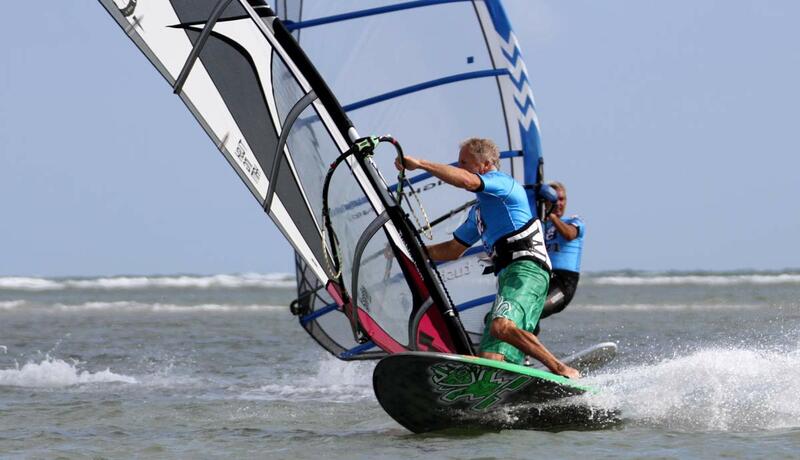 The course fee includes the use of voluminous light wind boards and SUPs. If you’re coming from afar and need accommodation, they can also suggest hotels, B&Bs, campsites etc.